Lana Veenker to Teach Acting Workshops in Florida! Do you live in the St. Petersburg, FL area? Ever thought about breaking into the acting business? Now’s your chance! We are pleased to announce that Lana will be teaching two workshops at the Sunscreen Film Festival! Saturday begins with an Uta Hagen workshop by acting coach Marc Durso of Act True in Miami and concludes with Lana’s “How to Break Into the Business If You Don’t Live in Hollywood”. On Sunday, Marc continues his teaching in the morning, and the weekend wraps with Lana’s “How to Audition for TV & Film” workshop. In addition to weekend workshops, the festival will be screening four films at the Muvico 20 Theaters at Baywalk as part of the “Sunscreen After Dark” series, just in time for Halloween. Films include DEADFALL TRAIL (recently picked up by the “8 Films to Die For” series), EVIL THINGS (one of the headliners at London’s Fright Fest), and I SELL THE DEAD (starring Dominic Monaghan and being hailed by early reviews as this year’s SHAUN OF THE DEAD). Two films will screen on Friday, October 23 and two on Saturday, October 24. Saturday will also include a Halloween party. Acting workshop fee includes film screenings and Halloween party. 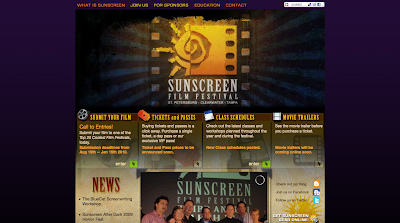 To register for the acting workshop, please head to http://sunscreenfilmfestival.com. Dream of being an actor but don’t know where to start? Lana Veenker cast several actors in TWILIGHT, LEVERAGE and other projects who didn’t live anywhere near Hollywood! This session will help you take the first steps in building your acting career. Learn about headshots, resumes, agents and casting directors, and how to get your first on-camera credits. What happens if you actually get the opportunity to audition for a movie? Try your hand at auditioning with real film and television scripts. Learn techniques and get feedback from Lana on how you can improve your chances of being hired! Both workshops are geared toward beginners, with some intermediate material. DON’T MISS LANA ON “DAYTIME”! On Monday, October 26th, Lana will be interviewed on syndicated morning show “Daytime”. The show airs across the Southeast on these stations. Check your local listings for times. Workshops in Ellensburg, Washington THIS WEEKEND! UPDATE 10/15/09: Unfortunately, workshops in Ellensburg this weekend have been CANCELED. Don’t forget, if you’re interested in attending workshops in your area, no matter where you are, be sure to use the Demand! widget in the right sidebar of the blog. 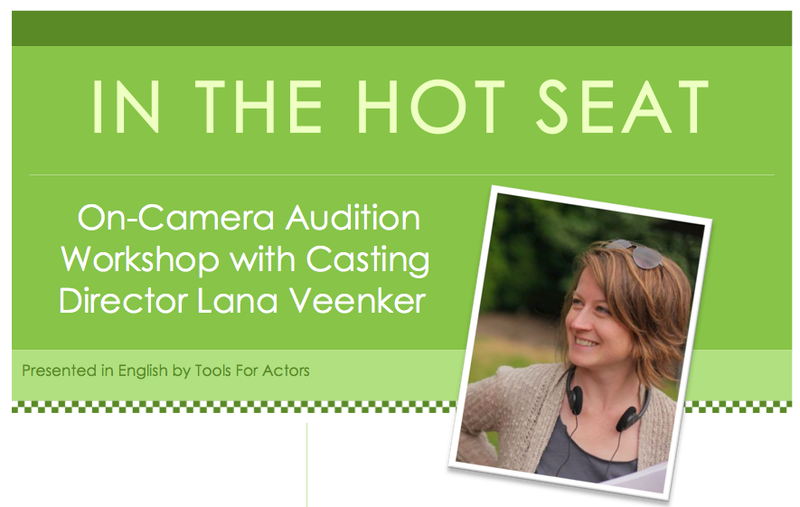 There are still spaces available for the following workshops with Casting Director Lana Veenker THIS WEEKEND! With a busy schedule, a busy casting office, and plans to take these workshops on the road beyond the Pacific Northwest, there’s no telling when these workshops will be offered in the area again, so register soon! To register for the acting workshop, please head to http://www.ellensburgfilmfestival.com and register from the right-hand sidebar on the home page. Please note: A minimum of 15 participants per workshop (or a total of 30) must be registered in order for the workshops to take place. Dream of being an actor but don’t know where to start? Lana Veenker has cast actors in major productions (including “Twilight,” “Leverage” and others) who didn’t live anywhere near Hollywood! This session will help you take the first steps in building your acting career. Learn about headshots, resumes, agents and casting directors, and how to get your first on-camera credits. Both workshops are geared toward beginners. Do you live in the Ellensburg, WA area? Ever thought about breaking into the acting business? Now’s your chance! We are pleased to announce that Lana will be teaching two workshops in conjunction with the Ellensburg Film Festival this month! There are still a handful of spots left for next Saturday’s GO PRO workshop in Portland. If you’re looking to go from AMATEUR to PROFESSIONAL actor, this is your opportunity! If you’re ready to take the leap and GO PRO, don’t miss this workshop! Check out this post for instructions on how to register. Wow. The last two rounds of GO PRO workshops in Portland sold out in record time, so we’re offering it once again. Sign up now for GO PRO on Saturday, May 23rd, 2009, because both sessions will fill up fast. Not only are we announcing our workshop on The Casting Scoop, but we’re blasting it to our Portland-area friends and fans on MySpace, Twitter and Facebook, our Tools 4 Actors newsletter subscribers and those who have registered their interest with Eventful. Once again, there will be two 4-hour sessions, one for Beginners and one for Intermediate/Advanced actors. NOTE: This is a repeat of the workshop offered in January and March. If you’ve taken a Beginner session, you might be interested in attending an Intermediate/Advanced session. If you’ve already attended the GO PRO Intermediate/Advanced session and are interested in a “What’s Next?” type workshop, shoot us an email and let us know! Also, this workshop is ideal for adults (or parents of child actors wanting to know how to better market their kids). It is not specifically geared towards children, but we will consider mature and serious child actors on a case-by-case basis. Not in the Portland area? Check out this post if you’d like to attend a GO PRO workshop in a city near you. WILL YOU MISS THE BOAT? In the coming year, regional actors will audition for Hollywood films in cities all across the country. Others, who may have been perfect for the role, will not be chosen. Many more will miss the boat entirely. Which group do you think you will you belong to? Most of you know that I’ve owned a casting company in Oregon for almost 10 years and have worked on a lot of these kinds of films. Before that, I worked as a stage actor, director and producer on three continents. Over this period of time, I’ve learned a few things about what it means to be a professional in the entertainment industry. And, as you may have already figured out, I’m passionate about showing Hollywood that regional actors have got the goods. But sometimes very talented actors I know blow their chances, because they don’t understand that it takes more than being a good actor to book jobs. It takes developing the mindset and focus of a pro. It means upping your game, wherever you are in your career. For beginners, this means breaking into what seems like an unbreachable fortress. If you’re already working in film and TV, it means taking your career to the next level and booking the jobs you deserve to be booking. Is it really possible that, despite being the best actor for the role, you may not advance to the final rounds of consideration or even get a chance to audition, because your professional skills aren’t on a par with your skills as an actor? Hate to break it to you, but YES. It kills me to see actors miss out on opportunities that they have the talent to be a part of right now, simply because they haven’t made the mental switch to PRO. That’s why the idea of this workshop keeps nagging at me. Especially if some of the projects we think may be coming down the pike materialize over the next several months. And since I’ve got some tools and advice that I think can help you make that leap from amateur to professional or professional to force of nature, I figure why not pass on the information? Just so everyone understands, though: This is not an acting or auditioning workshop. You won’t be asked to get up and do a cold read or perform a monologue. I’m going to talk about how to develop the mindset of a professional actor, utilizing simple, proven techniques that I’m very confident will take you to the next level in your acting career. If you’re already booking all the jobs you can keep up with, you probably don’t need me. You’re already leveraging your acting skills and professionalism into paid gigs. But if you’re like most actors, you’re not doing everything you could be to make that career leap. I’m no longer offering this course online, but I can tell you that the new material I’m developing is ten times more powerful (I can hardly wait to finish it!). Alas, my book is not yet available, so for now the only place to get this information is at the May 23rd workshop. Hundreds of you have confided to me that your biggest fear is never getting the opportunity to live your dreams; that you need someone with an inside knowledge of the industry to guide you, give you advice and provide you with the tools to success. GO PRO will be an opportunity to download all this information from my brain directly into yours. After almost two decades living and learning this stuff, I have condensed all the most powerful material, so that you can see results in a much shorter time frame. I’m looking for actors who are ready to develop the mindset of a pro and the laser-like focus of an Olympic athlete. If that’s you, I’d love to see you there. Space is extremely limited and the next time I offer this workshop, it won’t be in Portland, so hop on the list right away, if you don’t want to miss the boat. Plan to bring a sack lunch or snack, so we can spend more time working rather than hunting for food. Also bring your headshot and resume (or your closest approximations of them, if you’re a beginner) and a notepad. 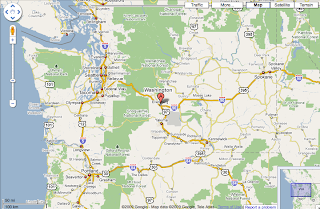 GO PRO will take place on May 23rd, 2009 at the Portland Acting Studio, 107 SE Washington Street, Portland, OR 97214 (map). The Intermediate/Advanced workshop is from 10:00 to 2:00 pm, including a lunch break. The Beginner workshop is from 3:00 pm to 7:00 pm, including a snack break. We accept Visa, MasterCard, Discover and American Express. PayPal Express Checkout is also available. PS: I would normally charge up to twice as much for this material, but since many of you have written to say that times are tough for you right now, I’m taking your advice and offering the workshop at a highly discounted rate. I’d rather make it a bargain, so that more of you get the opportunity to learn these tools and apply them to your lives. Hollywood is knocking. Let’s raise the bar and show them what we’ve got. Level the playing field. Come join us on May 23rd. The last GO PRO workshop in Portland sold out in a record 24 hours, so we’re offering it one more time. Sign up now for GO PRO on Sunday, March 1st, 2009, because both sessions will fill up fast. In fact, we opened registration yesterday to those who were unable to attend the last round and they’ve already started to reserve their spots. NOTE: This is a repeat of the workshop offered in January. If you’ve already taken GO PRO and are interested in a “What’s Next?” type workshop, shoot us an email and let us know! _______________________________________WILL YOU MISS THE BOAT? I’m no longer offering this course online, but I can tell you that the new material I’m developing is ten times more powerful (I can hardly wait to finish it!). 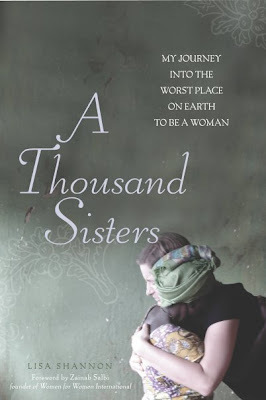 Alas, my book is not yet available, so for now the only place to get this information is this Sunday. Next Sunday will be an opportunity to download all this information from my brain directly into yours. After almost two decades living and learning this stuff, I have condensed all the most powerful material, so that you can see results in a much shorter time frame. GO PRO will take place on March 1st, 2009 at the Portland Acting Studio, 107 SE Washington Street, Portland, OR 97214 (map). The cost of the workshop is $75, payable in advance via PayPal. Payment must be received to hold your spot and is fully refundable until noon on Friday, February 27th. Level the playing field. Come join us on Sunday.